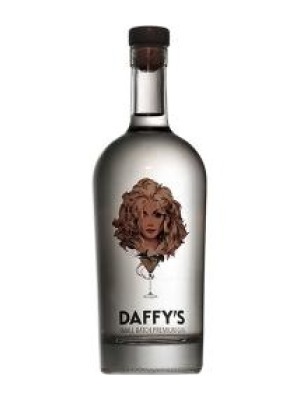 Daffy's Gin is a popular Craft Gin available from Amazon.co.uk in 70cl to buy online. Visit Amazon.co.uk for the best price for 70cl of Daffy's Gin or compare prices on our other Craft Gin products. Daffy is the Goddess of Gin. First written about in the 1700s Daffy is the essence of great gin, a lover of life who has transcended the decades. Daffy as painted by Robert McGinnis is the visualisation and personification of the taste, charm, sophistication, complexity and depth of this gin. Daffy's is a gin like no other, created from the finest French grain spirit, distilled on an ancient copper pot whisky still with Lebanese mint and the finest botanicals to create a gin that is classic, complex, perfectly balanced and fresh with a world of intrigue. Daffy's Gin has been crafted to be enjoyed straight over ice like the finest of malt whiskies, to make the ultimate D&T, the very best of Negroni and other great cocktails. Where to buy Daffy's Gin ? Daffy's Gin Supermarkets & Stockists. You can buy Daffy's Gin online in most retailers and find it in the Craft Gin aisle in supermarkets but we found the best deals online for Daffy's Gin in Amazon.co.uk, 31dover.com, TheDrinkShop, Waitrose Cellar, and others. Compare the current price of Daffy's Gin in 70cl size in the table of offers below. Simply click on the button to order Daffy's Gin online now.